The Birth of Italian Style. I sometimes think that Pellicano was set up with me in mind. It was Karl Marx himself who accused the English of ‘silly Italianism.‘ But how, I ask, could it otherwise be, condemned as we are to grow up under grey skies? Those Sunday afternoon films, from the ‘Hollywood on the Tiber’ era, offered a glimpse of another world, full of sunshine and levity – a magical land, populated by stylish men and curvaceous goddesses. Most of us have some time and place in history we dream of inhabiting. The majority seem to choose somewhere in the ancient world. With more respect for regular showers and modern dentistry, my option has always been for late 50s/early 60s Rome. I’ve still never been there. Twice I’ve had tickets in my hand, hotel booked. The first time some volcano in Greenland erupted and halted all the flights. The second coincided with the only time in my life I’ve had to spend a few nights in hospital, when the post-operation process proved trickier than expected. It’s almost as if the Roman gods have been sending a message – stay with the dream, they might be saying, because reality won’t match up. Maybe. But I feel like I was there at the heyday after picking up a book on a recent visit to London. ‘Dolce Vita Confidential,’ by Shawn Levy is a group biography of, in its own words, ‘Fellini, Loren, Pucci, paparazzi and the swinging high life of 1950s Rome.’ I’ve been through it once, been through it twice, been through it a third time making notes, and can now more easily imagine myself sitting on the Via Veneto sipping a cappuccino and wrestling with the dilemma of whether to date Gina Lollobrigida or Sophia Loren. I’ve learned that it is now precisely 60 years since real life events that inspired Fellini to make ‘La Dolce Vita.’ Publicized fights on the Via Veneto between celebrities and photographers (it was the film that gave them the name ‘paparazzi’) in August 1958, a high profile strip in a swanky restaurant in November. 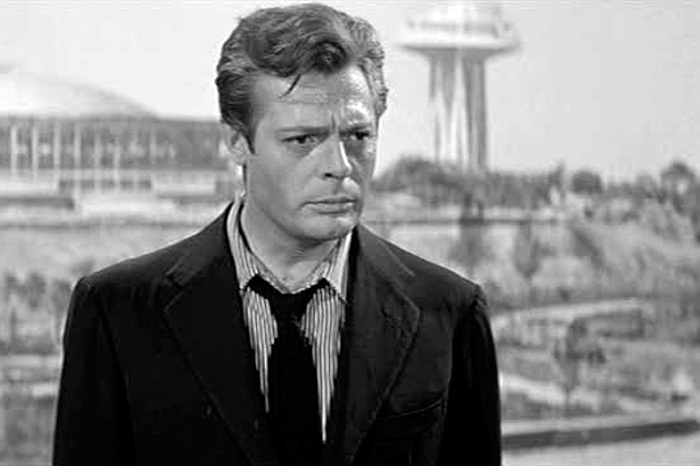 Fellini became fascinated with this new scene, and its new, wilder ways. On one level his film is full of existential angst, a condemnation of the shallowness of modern life. But on the other, it is a love letter to the Via Veneto scene and its vitality. The camera can make love to things that the script condemns. What I had perhaps failed to realise was just how new all of this scene was. This is an ignorant lapse – after all, I love ‘Rome, Open City’ and ‘The Bicycle Thieves,’ magnificent depictions of war and poverty from barely a decade earlier. And before the war, of course, there were two decades of fascism, preventing Rome from enjoying a roaring 20s a la Paris. And so, fuelled by post-war Marshall Plan US money, the city was making up for lost time. Those Vespas were a post-war phenomenon, the first rolled out by Piaggio in 1946. When ‘Roman Holiday’ featured Gregory Peck and Audrey Hepburn bombing around the city on a Vespa in 1953, this was a new and exciting mode of travel, which the film did much to popularise. Peck was still wearing a suit baggy enough for a family to take refuge inside. 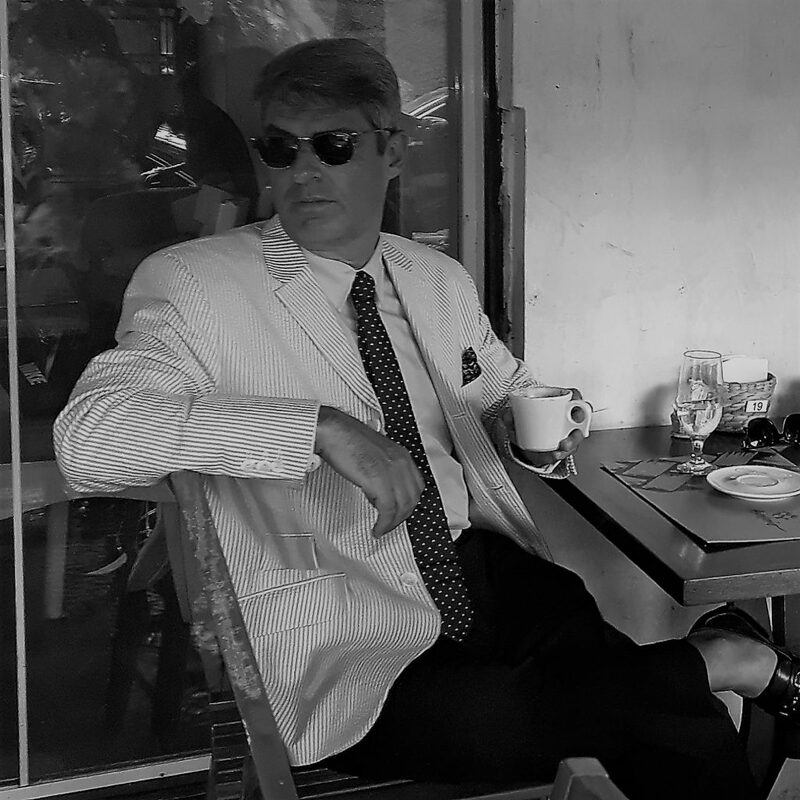 Six years later, in ‘La Dolce Vita,’ Marcelo Mastroianni is already in a form-fitting, sleek and streamlined Brioni suit. This, too, was a post-war development – not only the Brioni company, but the very conception of Italian style. Rome had previously been thought of as little more than a place for cheaper Paris knock offs, but a visionary called Giovanni Batista Giorgini saw the future. His knowledge of the US market led him to an important conclusion; Italy could come up with stylish goods that were less formal than Paris, and more in line with American taste. He set about creating a scene for US buyers, who were soon lapping up the novelties – such as putting a man on the catwalk in one of the new look suits. This had never been done before. A new age of male as peacock had dawned.The post-war years of ‘Il Boom’ transformed the country. It was ‘the era of the cardboard suitcase,’ with nearly a third of Italians migrating, mostly from the poor south to the industrialising north (a theme beautifully dealt with, by the way, in Visconti’s ‘Rocco and His Brothers’). New country, new ways of living, new conceptions of style, and Rome a thriving centre, especially in films and fashion.But not in music, which was starting to move to a different beat. And soon, as The Beatles exploded, Rome began to look like old hat. “In Italy,” writes Levy, “the primary social unit was the family… the cult of Mama and her apron strings was incontestably the dominant social force in the nation.” But in England and the US “the primary social unit was the individual, and the desire to kick out, break away and self-define was almost primal. In Italy this was an almost insane thought.”And this, I feel, gets us to the heart of the matter. The early British Modernists adopted elements of Italian style as part of a project, in the creation of identity, as a pro-active statement of self-definition. Italian style, British swagger. Isn’t that where Pellicano came in? Peck was still wearing a suit baggy enough for a family to take refuge inside. Six years later, in ‘La Dolce Vita,’ Marcelo Mastroianni is already in a form-fitting, sleek and streamlined Brioni suit. This, too, was a post-war development – not only the Brioni company, but the very conception of Italian style. Rome had previously been thought of as little more than a place for cheaper Paris knock offs, but a visionary called Giovanni Battista Giorgini saw the future. His knowledge of the US market led him to an important conclusion; Italy could come up with stylish goods that were less formal than Paris, and more in line with American taste. He set about creating a scene for US buyers, who were soon lapping up the novelties – such as putting a man on the catwalk in one of the new look suits. This had never been done before. A new age of male as peacock had dawned. The post-war years of ‘Il Boom’ transformed the country. It was ‘the era of the cardboard suitcase,’ with nearly a third of Italians migrating, mostly from the poor south to the industrialising north (a theme beautifully dealt with, by the way, in Visconti’s ‘Rocco and His Brothers’). New country, new ways of living, new conceptions of style, and Rome a thriving centre, especially in films and fashion. And this, I feel, gets us to the heart of the matter. The early British Modernists adopted elements of Italian style as part of a project, in the creation of identity, as a pro-active statement of self-definition. British swagger Italian style, Isn’t that where Pellicano came in? 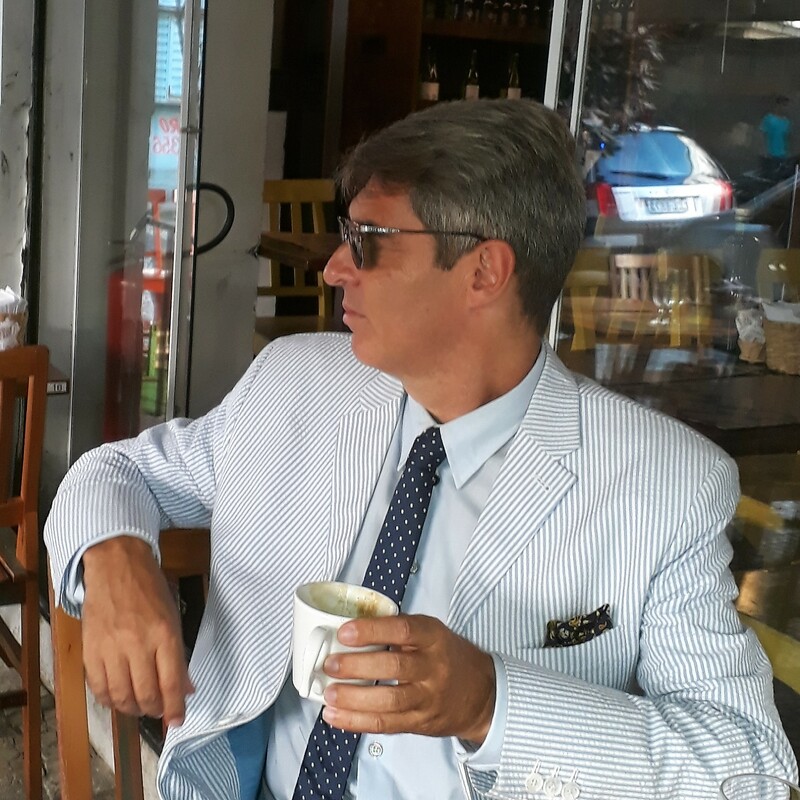 This entry was posted by Tomasso in Pellicano Journal and tagged Italian style, pellicano, tim vickery. ← Hello John, Got a New Cap?